If you’ve just changed a light bulb and you’re looking for some light bulb crafts to re-purpose instead of wasting, look no further. We have ideas that will make your waste not, want not to heart ecstatic. So, you’ve changed a light bulb and feel guilty just throwing the bulb in the garbage. We looked high and low and found some friends that had their creative caps on and came up with amazing light bulb crafts. 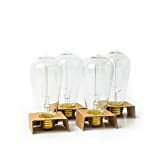 Get ready for the light bulb to go off above your heads as you are inspired by your own light bulb re-purposing ideas. 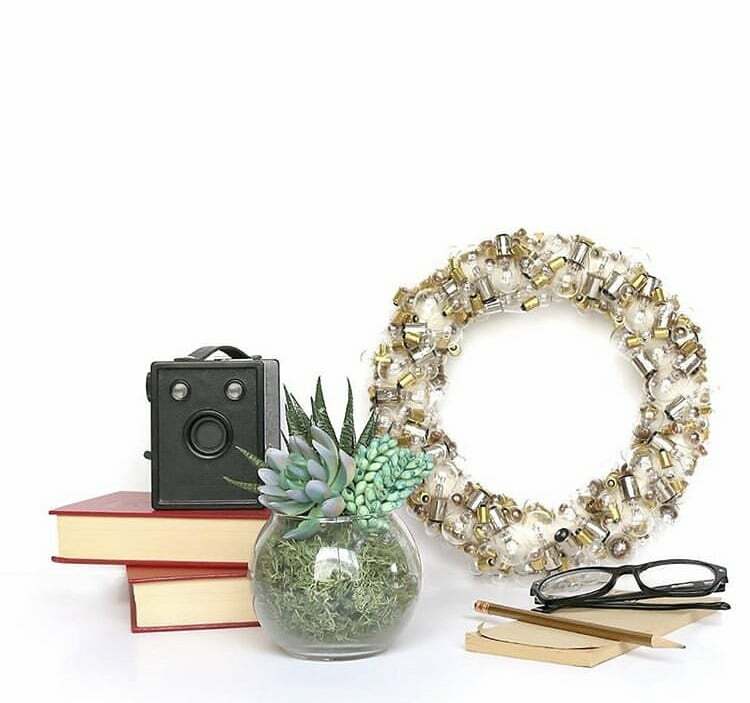 Jennifer starts us off with a jaw-dropping light bulb wreath. She took over 100 bulbs of different shapes and sizes and attached them to a wreath form. Seriously! Who would have thought to make this great project! 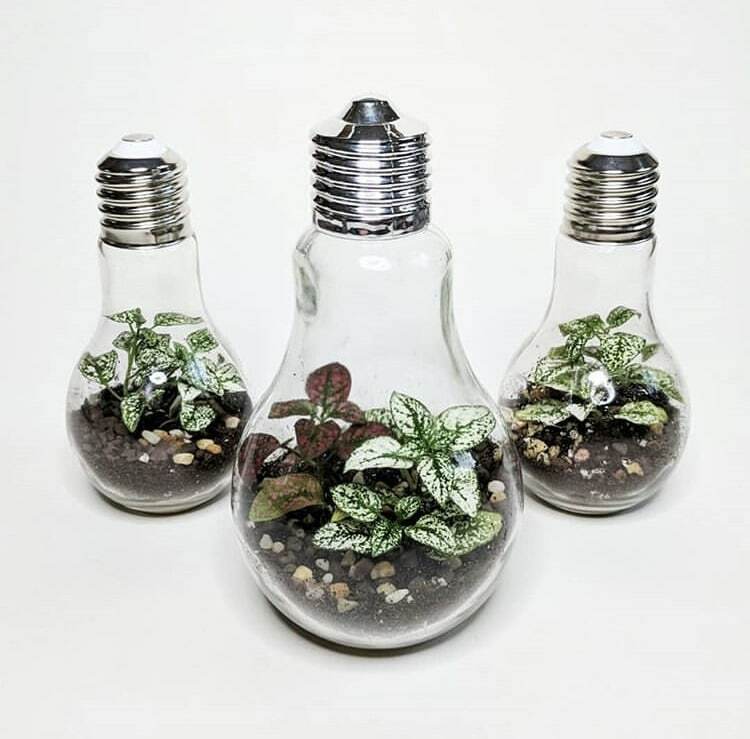 These bulb vases that encompass a terrarium may not necessarily be re-purposed light bulbs but will inspire those who can change a bulb and re-purpose it into a great terrarium. 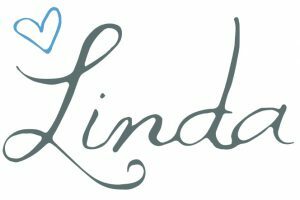 Do you have it in you to make a precious mini terrarium? 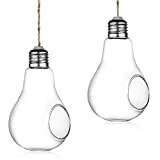 These light bulb vases look as though they would fit perfectly in our Ball Mason Jar Christmas Tree post. 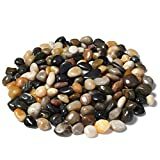 They look rustic and yet elegant. Danneyelle shows you what you need to make these and how to make them over on her Light Bulb Flower Vase blog post. 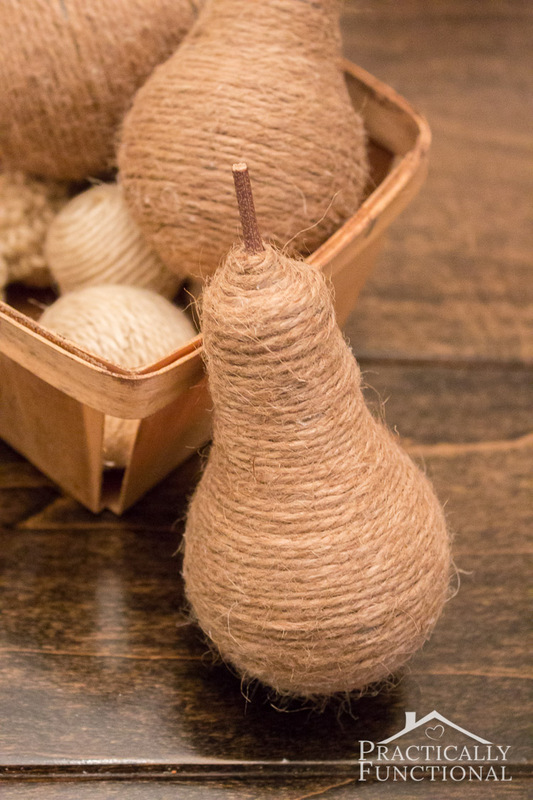 Have you ever wondered How To Recycle Lightbulbs Into Twine Wrapped Pears? Jessi shows how over on her blog. They are super cute and fit right into a farmhouse. 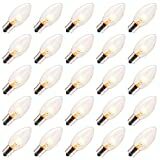 Ready to get started with your light bulb transformations? We give some tips on How To Change A Ceiling Light Bulb. 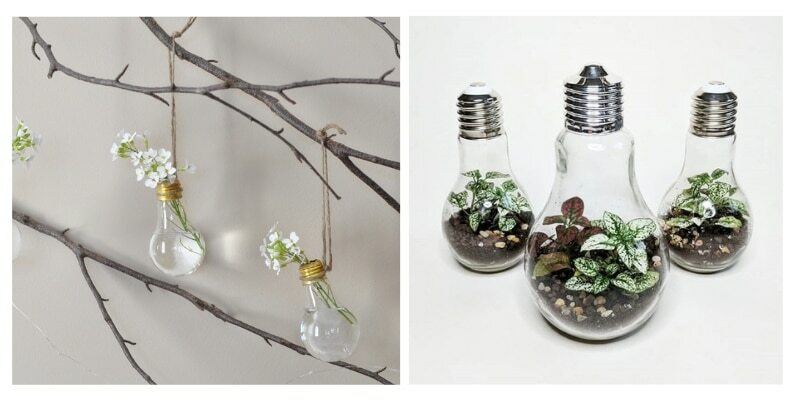 If you’re new to re-purposing items light bulb crafts are a great place to begin. 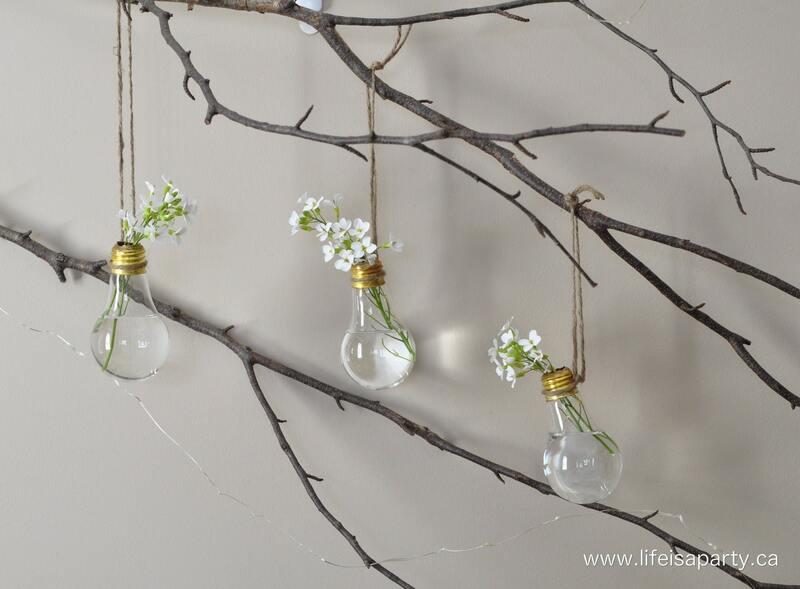 We’d love to see how you re-purpose your light bulbs.